Put your home in a favourable light! With the simple solutions from JUNG you have the choice of how you want to control your lighting. Whether manually, automatically, by radio or KNX: with JUNG you will find the appropriate technical solution for your requirements every time. Whether switching or dimming, each lamp individually or in parallel: with the modern switches and dimmers from JUNG you control the lighting simply and specifically by pressing a button. The variety of designs provides all the possibilities to perfectly coordinate the switches with the ambience. 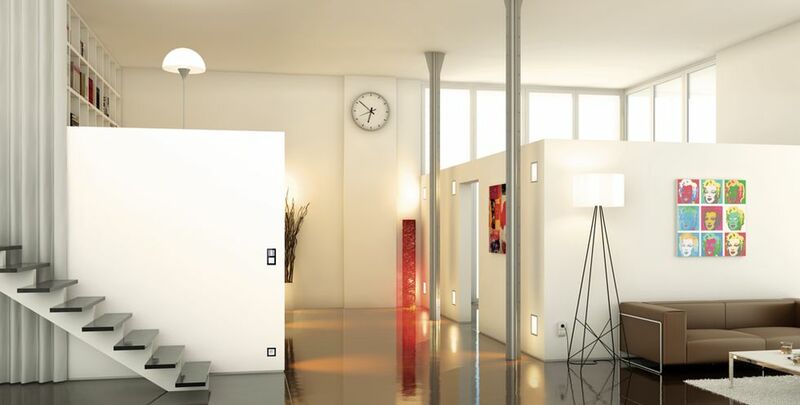 Completely automatic: for more convenience and security, control your lighting based on movement and brightness! The light comes on fully automatically when there are people in range of the automatic switch or presence detector – or simply when it gets dark. Suitable for use indoors and outdoors.